"Honesty and openness are sometimes undervalued traits - many would prefer to hide the past, rather than to allow others to freely and publicly record it for all to see. By creating an iKarma Profile, Loron's Astronomy Mall has demonstrated a firm commitment to maintaining a responsible and sincere reputation online. 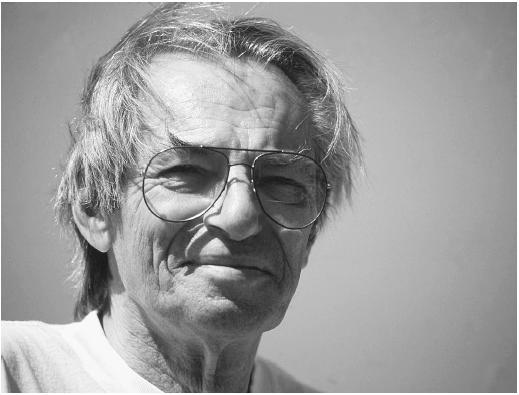 Such people, both rare and precious, are a credit to both business and society. We believe that integrity should be rewarded. The iKarma team is happy to welcome Loron Knowlen's Astronomy Mall to our service." Do you know what FOO FIGHTERS are? Watch the movie to find out. 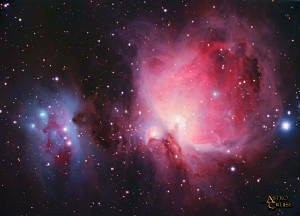 Welcome to my on-line "Astronomy Mall". 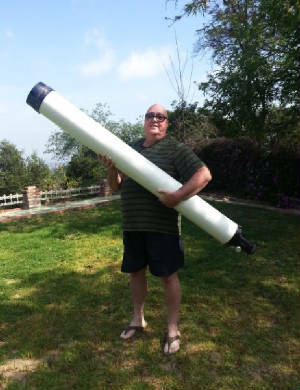 I hope the information contained here at my website will be most helpful to you in your selection of a telescope or other accessory related to astronomy. These items seen here at this on-line mall can be most expensive which is why you should do as much research as you can. I have set up links here that represent long-standing individuals along with well-known firms that have been in business for many years. They are all very fine products. I know because I use some myself. 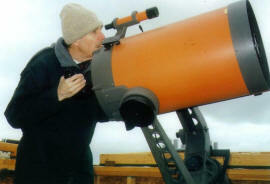 ARTHUR C. CLARCK WITH HIS CELESTRON C-14 TELESCOPE. 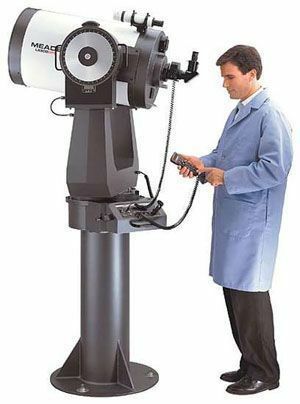 You will gain experience in using your telescope especially if you direct your attention to the main points of quality. You will find in time that you will become critical of imperfections of your telescope, casual or inherent. When you test your telescope's optics, you should be careful and pay close attention to your own eyesight and be guided by proper directions and only then will you have a good idea of the quality of your telescope. 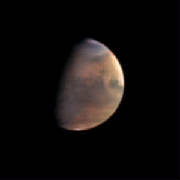 Remember that no telescope will give the most perfect image. Your telescope is good when you can see fine definition and not to worry about the out of focus star image. 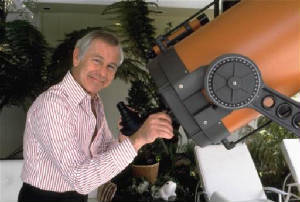 If there seems to be a problem with the telescope because of the star image, you can not say what the problem is until you make an examination of the out-of-focus image on a night fine enough to allow you to make a star test at high power, unless the fault is because of a astigmatism, maladjustment, or centering of the optics and on a good night these can be seen at focus. I CAN HELP YOU FIND ZEISS! Well yes we have used them all. At first we would refer you to both Zeiss & Clave but they are very rare. For planetary,lunar, and solar observing we enjoy the Brandons which we use on our 6" refractor at the observatory. However what we like the most is the Lumicon 2" diag., Filters from William optics but the best eyepieces to use on a large aperture Celestron/Mead SCT. 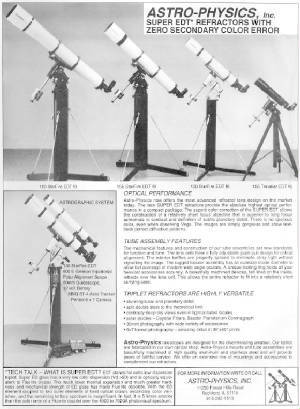 are the 2" Meade 40mm SWA, Televue 2" 20mm Nagler, and either the Meade 8.8 SWA or the Televue 2" 9mm Nagler. 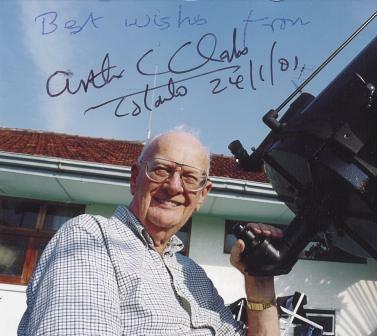 We also enjoy the classic 26mm Plossl from Celestron. For the Bino-viewer we enjoy the views through the classic Tuthill. Hope the information will help one in the selection of fine accessories for their telescope. Remember however the Brandons are the best! Happy skies everyone. Brandon is a brand name of VernonScope, and is applied to a variety of products, including a well-established line of eyepieces. 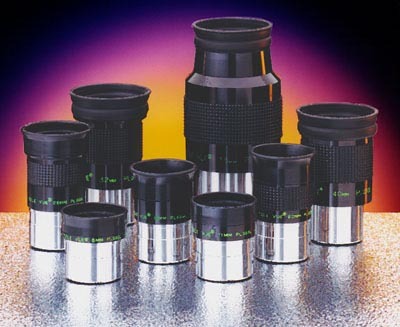 Several of the short- to medium focal-length Brandon eyepieces are advertised as orthoscopics, yet they appear upon disassembly to resemble Plossls. They use four lenses in an unsymmetrical duplet formulation designed by Chester Brandon, one of the designers of the top-secret Norden bombsight, which played an important role in World War II. 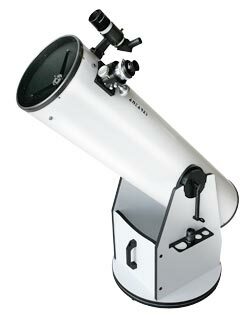 Brandon eyepieces are a popular choice of professional astronomers worldwide. VernonScope estimates that over one million Brandons in various incarnations and focal lengths have been produced since their introduction in the early 1940s. 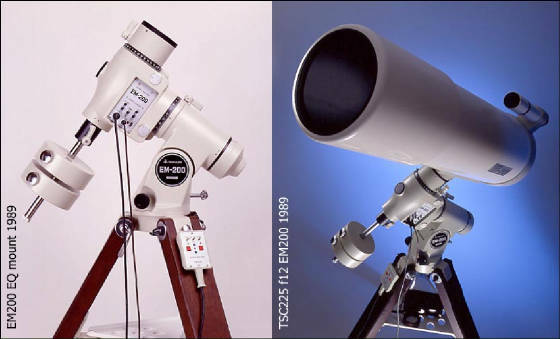 Designed for medium to high power use with any telescope at focal ratios down to f/4, they are very sharp at the center (although somewhat less so at the edges) and ideally suited to lunar, planetary, star cluster, and binary star observing. They have excellent color correction and very low astigmatism, with very minor field curvature and ghosting. They are fully coated, but not multicoated, in order to reduce a phenomenon known as "narrow angle light scatter" that is sometimes seen in multicoated optics. This scatter shows as a loss of contrast and subtle details within bright objects such as Venus, Mars, and Jupiter. It also shows as a significant difference in the background darkness immediately surrounding a bright object, which is especially important for double-star observing. 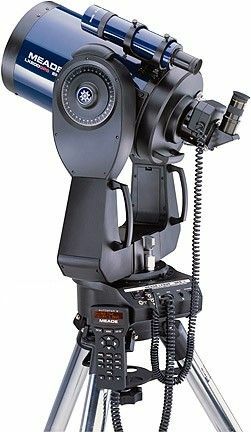 Brandons are accordingly noted for their exceptional contrast and extremely dark background, two reasons why Questar has been using them in their ultra-premium Maksutov-Cassegrain scopes since 1971. They have moderately wide apparent fields of view, of about 45°. The f/number (focal ratio) of any telescope tells two things about the telescope and that is it's intended purpose and it's photographic performance. 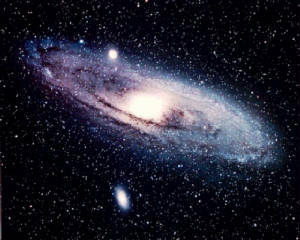 The brightness of a star depends on the telescope's aperture not the telescope's f/number. 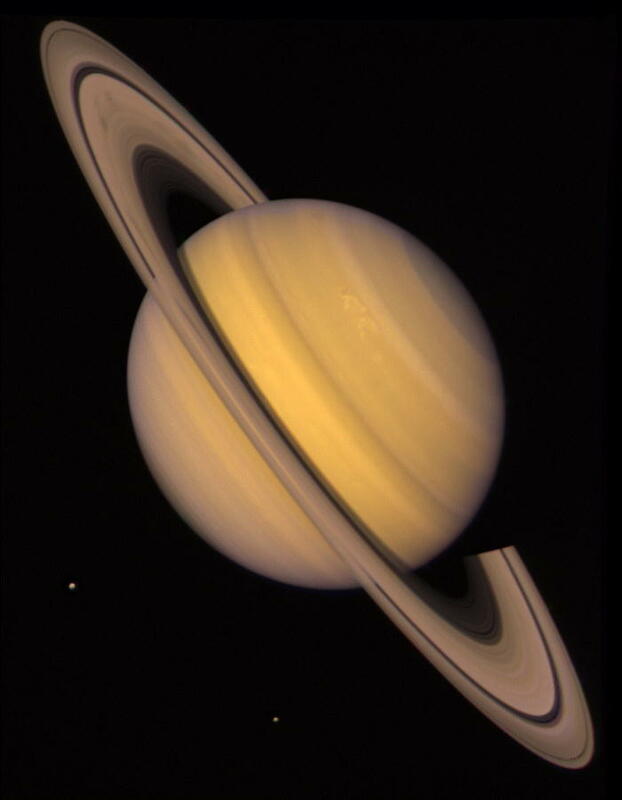 All telescopes of the same aperture at any magnification will show the same visual brightness. There are many that insist their long focal ratio telescope gets higher contrast, this is not correct. 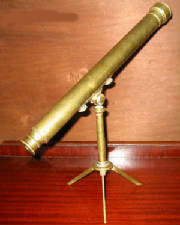 A refracting telescope does have more contrast than any other because of it's optical system not because of the f/ratio. You can see that when you are comparing very well made and very well corrected refractors, you will see there is no gain in contrast regardless of the f/ratio of each telescope. Even if a reflecting telescope is well made and has the same size secondary mirror obstruction as another, it will have the same contrast regardless of the f/number of each telescope. All of the confusion and there is much on this issue, is because of the photographic use of the f/number. A faster f/ratio does mean brighter images on film but not in a telescope. Aperture not f/ratio is the important factor with a telescope. Some photographers have a great deal of trouble with this concept. The f/number of any objective lens or a mirror of a telescope has nothing to do with the visual brightness of an image, the bigger the aperture the better. 12" F/17 Zeiss Refractor with Series E objective lens. "B" Type Zeiss Objective. The Zeiss B was the first truly successful apochromatic objective along with the Cooke Photo-Visual, I believe. Zeiss did make the apochromatic A objective, but the glass was not stable and tended to accumulate large amounts of fungus. I do not think that there are any useable A Objectives left. The B Objective came in focal lengths between f11, and f15, and I think in the neighborhood of f17.5-19 at their longest. 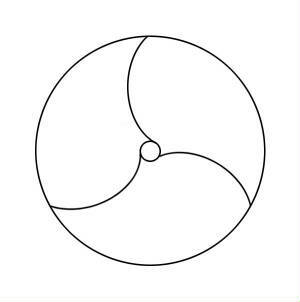 The longer focal lengths were considered to be fully apochromatic (by Abbe's definition), with the f11 being considered a "half" or semi-apochromat by Zeiss. 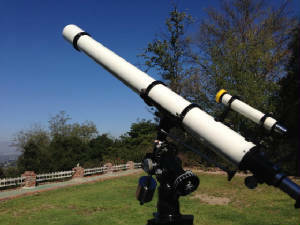 WHY A 6 INCH F/15 REFRACTOR? THE GRIFFITH OBSERVATORY, Los Angeles, CA. THE GEORGE H. LUTZ OBSERVATORY, Moutain Gate, CA. Welcome to my astronomy mall which is my personal web page. 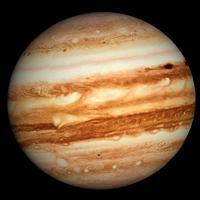 Hope the information contained within this website will be helpful to you in your search for a telescope, observatory, or friends for star parties. The purpose of this mall is to link you up with a good selection of individuals and firms who specialize in the manufacturing and sales of telescopes, binoculars and their related accessories.